Create, Manipulate and Convert email formats including MSG, EML, EMLX & MHT without any Microsoft Outlook dependencies. Open NuGet package manager, search for Aspose.Email and install.  Aspose.Email for .NET is a complete set of Email Processing APIs to build cross-platform applications having the ability to create, manipulate, convert and transmit emails without using Microsoft Outlook. 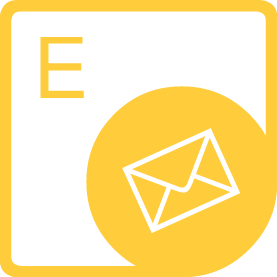 API provides the email manipulation functionality such as add, extract or remove attachments from a message object, customize message headers by adding or removing recipients or changing the subject and more. 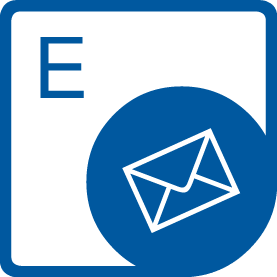 Aspose.Email for .NET makes it easier to work with a number of Outlook message formats such as MSG, EML, EMLX and MHT as well as provides the ability to manage message storage files such as Personal Storage Files (PST) & Offline Storage Files (OST). Developers can use the API to transmit messages via a number of popular protocols like POP3, IMAP & SMTP or connect with Microsoft Exchange Server via WebDav and Exchange Web Services to send & receive emails with attachments. An overview of Aspose.Email for .NET. Aspose.Email for .NET supports .NET framework, .NET Core & Xamarin platforms. Aspose.Email for .NET native Outlook message formats along with message storage file formats. Aspose.Email is a good choice if you are looking for an API to convert MSG files to EML, HTML or MHTML formats. It provides easy-to-use interfaces for the conversion process while hiding all the ugly details of the underlying format specifications. All you need to do is to load the source file in Aspose.Email object model call the Save method with appropriate parameters. It is really that simple! Aspose.Email provides you the capability to create and save Outlook Calendar objects through its iCalendar API. Not only you can extract the Calendar objects in various formats and save them as MSG or ICS files but you can also send, retrieve, update and cancel meeting requests through message sending protocols. Aspose.Email for .NET empowers you to create complex email messages with attachments, HTML formatting and images, and send them to an email address using SMTP protocol. It also allows you to log onto the POP3 servers by username and password or APOP authentication to perform operations like view mailbox size & message count, retrieve the full message or just the headers, delete messages from server and so on. Aspose.Email for .NET also supports IMAP protocol features including authentication, create, delete, select, query folders, get and save messages, change message flags and basic IMAP commands. Aspose.Email for .NET provides the ability to connect with a Microsoft Exchange Server in order to perform several operations. You can list messages from any folder, download messages and save them in supported message formats. Emails and meeting invitations can also be sent using the Exchange Server's WebDav & Exchange Web Services. 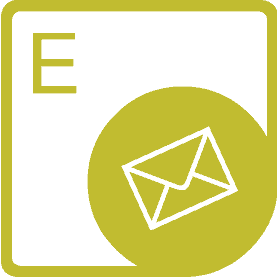 The Email .NET API also supports Unified Messaging operations and auto discovery of Exchange Server settings based on the specified credentials. Aspose.Email for .NET allows you to easily and reliably calculate occurrence dates and times for even the most complex recurrence patterns. You can dynamically produce & consume recurrence patterns in the iCalendar format. Aspose.Email for .NET further allows you to use yearly, monthly, weekly, daily, hourly, minutely & secondly recurrence patterns, and can represent recurrence patterns in your windows, web or mobile applications. The recurrence patterns implemented by Aspose.Email for .NET are coherent with schedule related elements of the iCalendar RFC (2445). You can load Microsoft Outlook PST & OST files from disk or a stream, get folder and sub-folder information from the message archive, retrieve message specific details such as subject, sender, recipient and save messages to either disk or stream. Aspose.Email for .NET is built using managed code that does not need Microsoft Office or Microsoft Outlook to be installed on the machine to work with emails processing. It is a perfect Microsoft Outlook automation alternative in terms of supported features, security, stability, scalability, speed and price.